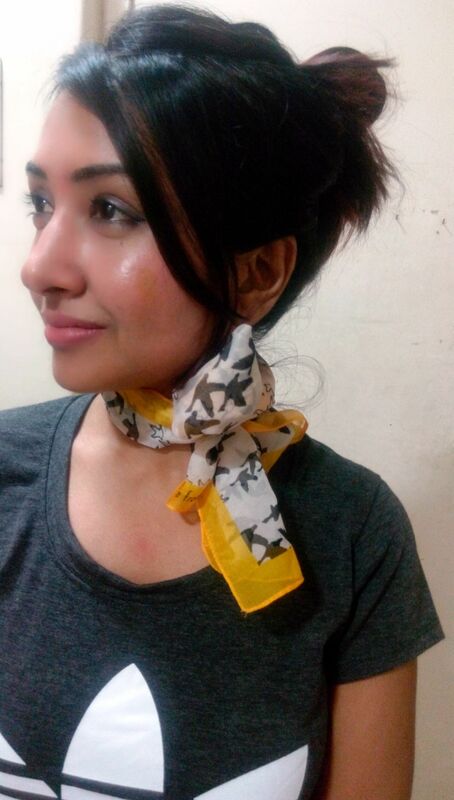 You can instantly upgrade the fashion quotient of a simple outfit with a scarf. What’s more, you can actually try out three different styles with the same piece and look different every time. Wear it around your neck over a fringe top to add a hint to classic to your otherwise contemporary outfit. 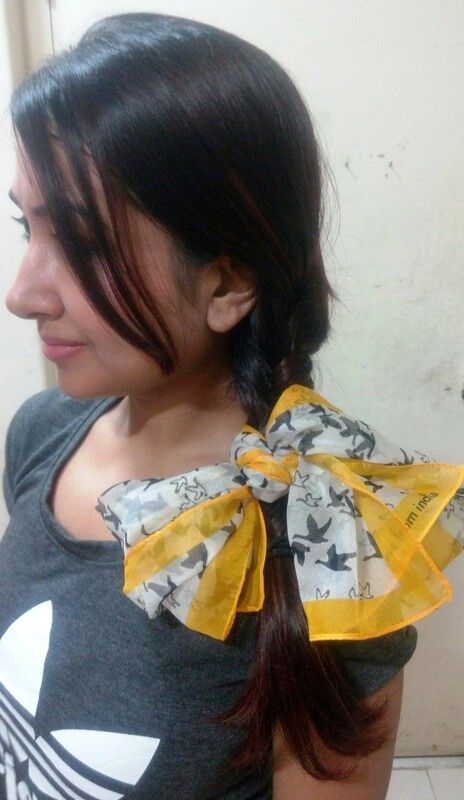 Pull back your hair into a bun and tie the scarf as a loop around the crown and finish in a bow with a central knot. You can get sporty with a quirky headgear look. A braid can look simple but by adding a big bow at the end, you can transform it to an effortlessly chic hairstyle. This is the simplest to try out and you can wear it with any outfit and across m,ost occasions.